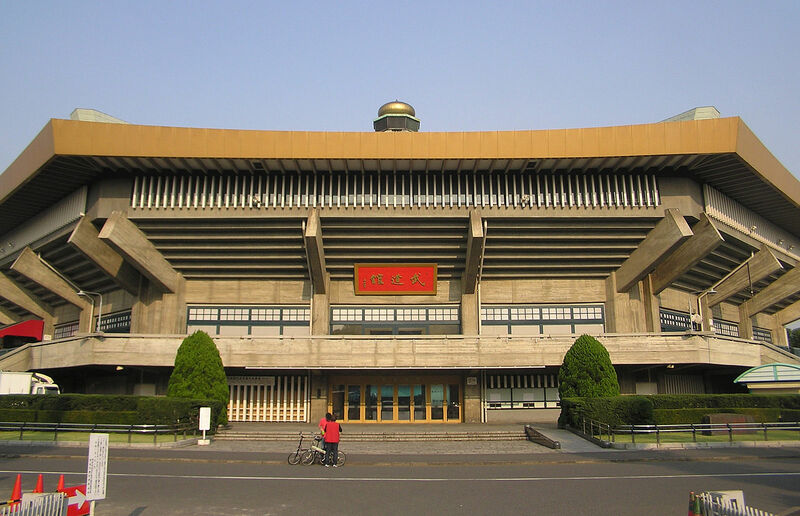 The budokan, host to many concerts and Martial Arts Tournaments. I am sure it comes as no surprise to you that Tokyo is a BIG city, with a lot of people in it, and stretching over a big area. In order to keep it all under control, the administrative work has been divided, and the 23 Special Wards were created. In the centre of all these wards, you find Chiyoda. Chiyoda Ward is the centre for a number of reasons. Historically, this is where the Chiyoda Castle (the other name for Edo Castle) were located, and it is from this castle that the ward got its name. Today, you still find a lot of buildings and institutions that has to do with government and foreign relation: The Diet is located here, as is the Prime Minister’s residence. You also find the Supreme court, and 15 different embassies in Chiyoda. Chiyoda is also home to several of the famous places in Tokyo. To start with, the Imperial Palace has the address “1 Chiyoda, Chiyoda-ku”. In the Kanda Area, in the northern part of Chiyoda, you find the famous electronics district Akihabara. Hibiya Park and Kitanomaru Park (where the Budokan is) are also in this Ward. In-between the Tokyo Station and the Imperial Palace you find the Marunouchi district, which is one of Tokyo’s traditional commercial centers. North of Marunouchi is Ôtemachi, a district of key financial Japanese institutions and major national newspapers. As you can see Chiyoda is the centre of everything from power and administration, to business and news. It truly is the heart of this big and busy city. To the west of the Imperial Palace, you find Hanzomon area (because it is next to the Hanzomon Gate to the Imperial Palace). In this you find offices, restaurants, and embassies. Hanzomon is also home to Cosmos Tokyo. As you can see Chiyoda is the centre of everything from power and administration, to business and news. It truly is the heart of this big and busy city. I am sure you have passed through, and stopped by in this busy city centre, but if you haven’t then make sure you visit this ward next time you are in the area. Cosmos Tokyo is located near Hanzomon Station on the Tokyo Metro Hanzomon Line. Take exit 3a to the west, walk down the road left of the gas station, and then turn right in the next crossing. On you right hand side you will find Glenpark Building.